1st floor master bedroom with on-suite bathroom. 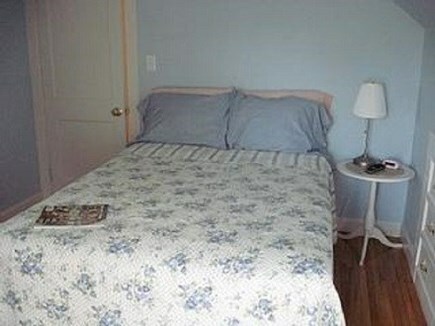 2nd bedroom with double bed. 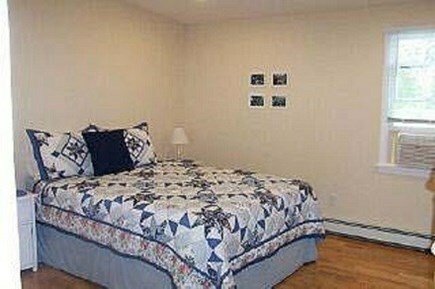 3rd bedroom with 2 twin beds attached to brand new bathroom. 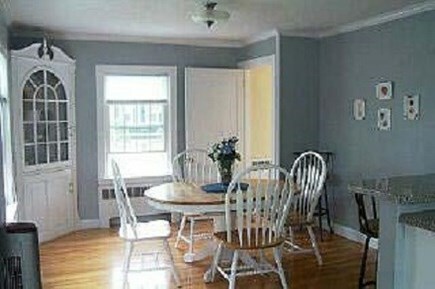 3 bedroom 3.5 bathroom home in Falmouth Heights. 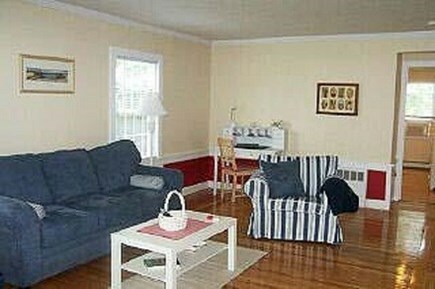 Walking distance to restaurants, shopping, the harbor and the beach. Sleeps 6. 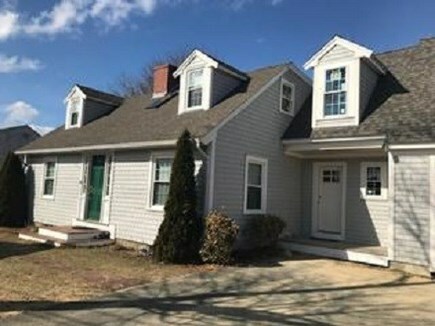 Newly constructed attached garage, mud room and 3rd full bathroom. Washer and dryer inside the home. 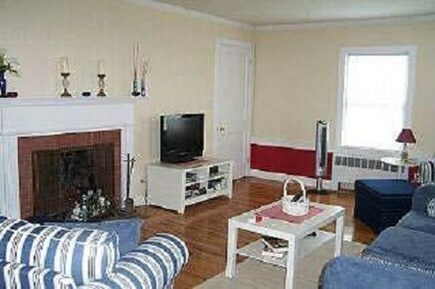 A/C units in all bedrooms. 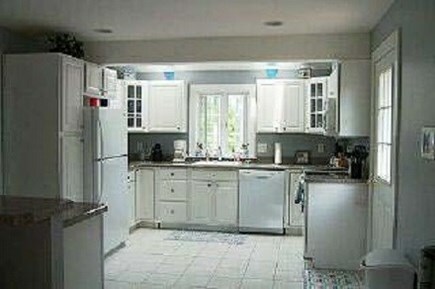 Fully stocked kitchen. Master suite on main level with queen bed. 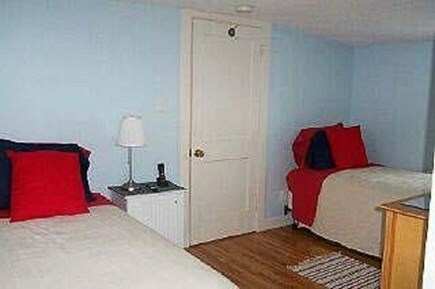 One bedroom upstairs with a full size bed and one room with two twins and an en suite bathroom. Additional bathroom in hall. Falmouth Heights beach is approx. 1 mile away, about a 15 min walk. Falmouth Harbor is a 5 minute walk. Additional pricing info: June stays require a cleaning fee of $150, State and local taxes of 12.45% will apply.